We’re delighted to announce the appointment of new Associate Director Laura Morris at Popcorn PR. 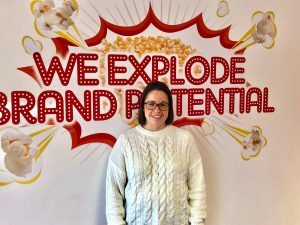 With over 10 years of big agency experience, Laura brings a wealth of industry experience in the lifestyle, technology and food & drink sectors, having worked across a wide breadth of household brands including Weight Watchers, Amazon, Facebook, eBay, Sony, Whirlpool, evian, Zizzi and Echo Falls. Laura’s strong strategic and creative approach to campaigns, combined with an acumen for driving commercial results, has seen a number of career highlights including launching the Amazon Echo and Dot to the UK market and managing and implementing Facebook’s Mark Zuckerberg’s first UK visit, including key media interviews across the nationals and broadcast channels. With her strong brand experience and highly engaging and proactive attitude, Laura is set to further strengthen our leadership team and continue to drive and deliver successful campaigns with our clients into 2019 and beyond.